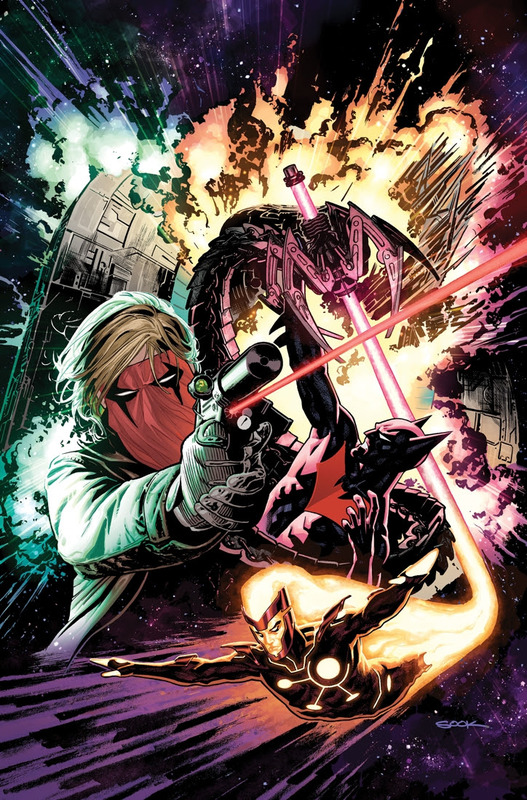 The New 52: Futures End Co-Writers Jurgens and Giffen Come to Baltimore! Come to Baltimore’s Inner Harbor for the premiere inaugural three-day Baltimore Comic-Con, September 5-7, 2014, at the Baltimore Convention Center! Joining the convention’s line-up of comics super-stars are two titans of the industry: Dan Jurgens and Keith Giffen! Both have written and drawn significant storylines at major publishers over the course of their respective careers. Jurgens, who has written or drawn virtually every major title at Marvel and DC, started his career at DC Comics on The Warlord, and worked his way through titles including Booster Gold, Green Arrow, and Justice League of America. 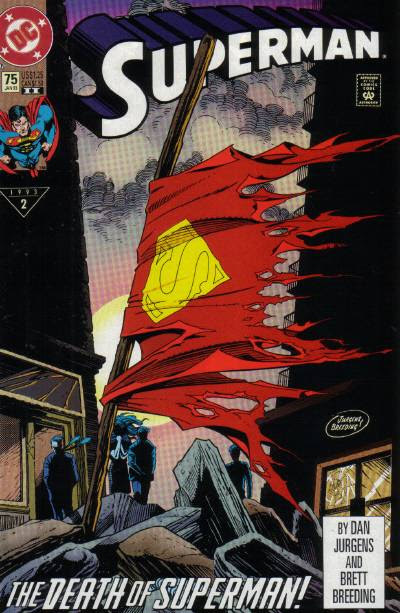 He is also the writing talent behind the award-winning “Death of Superman” storyline, which was part of his 10-year run on the Superman title. He moved over to Marvel Comics to launch The Sensational Spider-Man, followed by Captain America and a 7-year run on Thor. He has since returned to DC Comics where he returned to Booster Gold and has contributed art and writing on numerous New 52 titles. Giffen has gained acclaim for his art and writing contributions to many titles, series, and events over the course of his career. 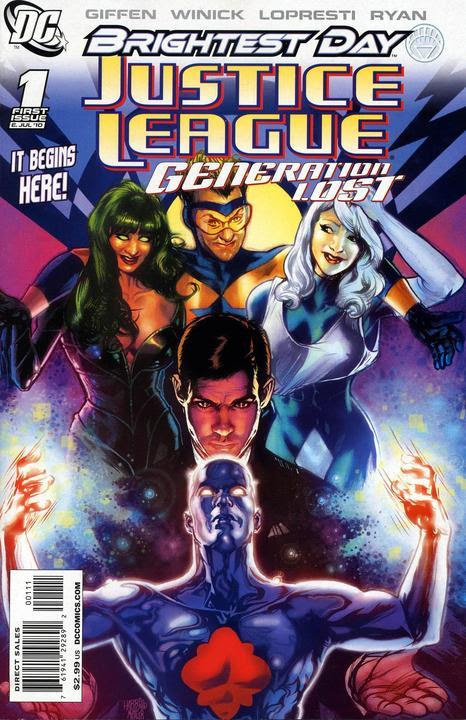 Noted for his contributions to multiple runs of DC Comics’ Legion of Super-Heroes, he is also part of the creative team behind the humorous Justice League International, Justice League Europe, Formerly Known as the Justice League, and JLA Classified. He is also responsible for creating DC’s Lobo and Ambush Bug characters. At Marvel Comics, Giffen’s work includes a relaunch of The Defenders, Annihilation and the event’s supporting titles, and Nick Fury’s Howling Commandos. He has also contributed to titles such as Dark Horse’s Division 13 and Agents of Law, Valiant’s Solar, Man of the Atom, X-O Manowar, and Magnus, Robot Fighter, Tokyopop’s I Luv Halloween, BOOM! Studios’ Heroes Squared, Image’s Common Foe and Tabula Rasa, and many others titles and publishers, big and small. Together, Giffen and Jurgens are teaming up to co-write DC Comics’ The New 52: Future’s End, a year-long series set 5 years into the future of DC’s continuity. This year’s previously confirmed guests for the show include: Marty Baumann (Pixar artist); Jeremy Bastian (Cursed Pirate Girl); Mark Buckingham (Fables); Dave Bullock (Batman Black and White); Greg Capullo (Batman); John Cassaday (Doc Savage); Bernard Chang (Green Lantern Corps); Sean Chen (Amazing Spider-Man); Jimmy Cheung (Infinity); Cliff Chiang (Wonder Woman); Frank Cho (X-Men: Battle of the Atom); Richard Clark (House of Gold & Bones); Steve Conley (Bloop); Alan Davis (Wolverine); Rachel Deering (In the Dark); Todd Dezago (Tellos); Tommy Lee Edwards (Star Wars); Garth Ennis (Preacher, The Boys); Ray Fawkes (Constantine); David Finch (Forever Evil); Jose Luis Garcia-Lopez (All-Star Western); Dave Gibbons (Watchmen); Bryan JL Glass (Mice Templar); Michael Golden (The Ravagers); Cully Hamner (Animal Man); Dean Haspiel (The Fox); Fred Hembeck (Garfield); Adam Hughes (Before Watchmen: Dr. Manhattan); Justin Jordan (Luther Strode, Green Lantern: New Guardians); Barry Kitson (Empire); Aaron Kuder (Action Comics); David Mack (Shadowman); Kevin Maguire (Guardians of the Galaxy); Alex Maleev (Moon Knight); Billy Martin (Vitriol, The Hunter); Ron Marz (Witchblade); Bob McLeod (X-Men: Gold); Tradd Moore (Deadpool Annual); Mark Morales (New Avengers); Dan Parent (Archie, Veronica, Kevin Keller); David Peterson (Mouse Guard); Joe Prado (Justice League); Brian Pulido (Lady Death); Tom Raney (Incredible Hulk); Ivan Reis (Aquaman and The Others); Budd Root (Cavewoman); Don Rosa (Donald Duck); Craig Rousseau (Perhapanauts); Joe Rubinstein (The Official Handbook of the Marvel Universe); Andy Runton (Owly); Alex Saviuk (Web of Spider-Man); Louise Simonson (Power Pack); Walter Simonson (Thor); Andy Smith (Superman #23.1: Bizarro); Allison Sohn (sketch card artist); Charles Soule (Thunderbolts); Jim Starlin (Thanos: The Infinity Revelation); Ben Templesmith (The Memory Collectors); Peter Tomasi (Batman and Two-Face); John Totleben (Swamp Thing); Herb Trimpe (GI Joe: A Real American Hero); Billy Tucci (Shi); Rick Veitch (Saga of the Swamp Thing); Mike Vosburg (Lori Lovecraft); Mark Waid (Daredevil); Lee Weeks (Daredevil); Bill Willingham (Fables); Renee Witterstaetter (Joe Jusko: Maelstrom); Thom Zahler (My Little Pony); and Mike Zeck (Secret Wars). Unfortunately, the previously-announced JG Jones will be unable to attend the 2014 Baltimore Comic-Con.